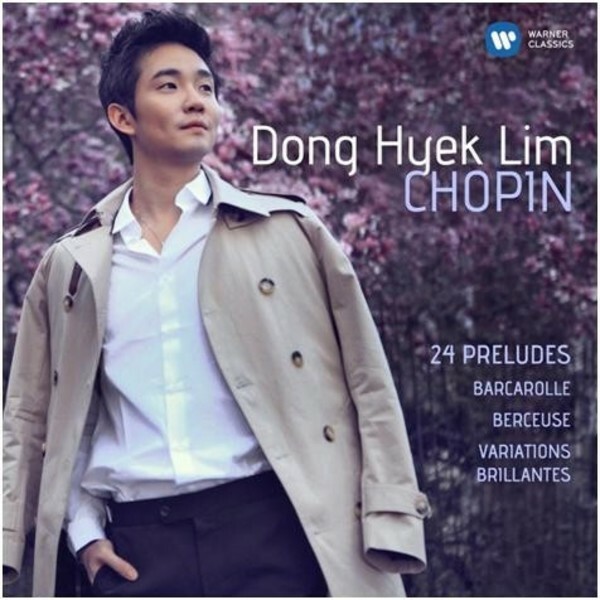 Dong Hyek Lim, whose international career now extends to some 15 years, is a pianist whose understanding of the repertoire has been honed through studies in his native Korea, in Russia and in the USA. Originally a prot�g� of Martha Argerich, he returns to Warner Classics with a programme devoted to the music of Chopin. His new recital of works by Chopin, centred on the set of 24 Preludes, continues a relationship with the label that goes back to 2002. Lim, then just 18 years old, was introduced to the world with a CD in the �Martha Argerich Presents� series. Gramophone noted his arrival �in a blaze of pianistic glory�, while in France, the album was awarded the prestigious Diapason d�Or. Dong Hyek Lim was born in Seoul in 1984 and began his musical training at the National Korean Conservatory. At the age of 10 he moved to Russia as the youngest-ever student to attend the Moscow Conservatory, where his teacher was Lev Naumov (a pupil of the legendary Heinrich Neuhaus). Lim later moved to Germany to study at Hannover�s Hochschule f�r Musik with Arie Vardi. In 2001, aged just 15, he became the youngest-ever winner of the Premier Grand Prix at the Concours Long-Thibaud-Crespin. He was also a prizewinner at the Concorso Busoni (2000), the Hamamatsu International Piano Competition (2001), Queen Elisabeth Competition (2003), International Chopin Competition (2005), and the International Tchaikovsky Competition (2007). Since then, Lim has continued to study � notably with Emmanuel Ax at the Juilliard School in New York � and he himself recognises that he has reached new levels of maturity.